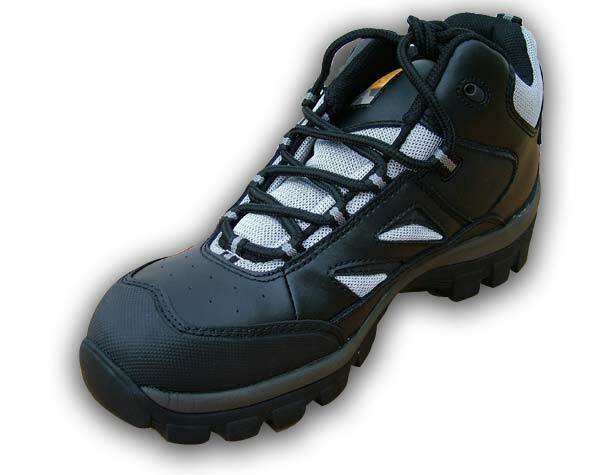 A comfortable yet lightweight and flexible safety footwear with steel toe caps. Keep you toes safe with these steel toe cap flexible safety boots. With lace up front and a stylish two tone style outdoors appearance these will look good in any environment whilst having all the safety features attached. Available in the Following Sizes 8, 9, 10 and 11's. With their Goodyear Welt construction these boots will last if look after and not used in oily conditions. A must have and necessity for so many industries. What does it mean that the boots conforms to BS EN345-1:1993 which provides an impact level of 200 Joules for the toe cap? This means the toe-cap will withstand an impact of at least 20kg falling directly from a height of 1.02 metres. BS EN345-1:1993 is a British test standard for safety footware. Hope this help with your question.